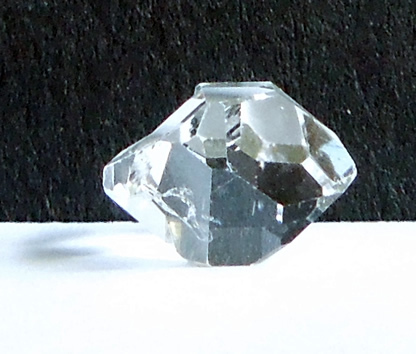 This natural, or raw Herkimer quartz crystal has the popular gumball shape. Some call them 'fatties'. 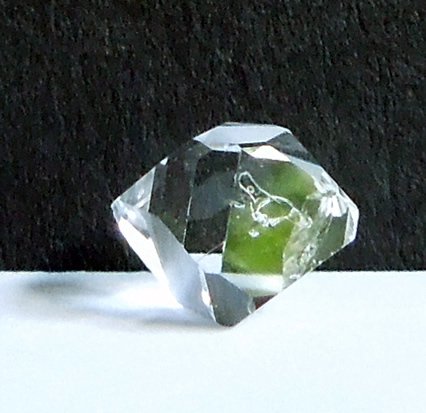 A small clear inclusion and shallow key mark are present and add interest and authenticity. A key mark is recognized by a natural geometric indentation that is usually three or six-sided. 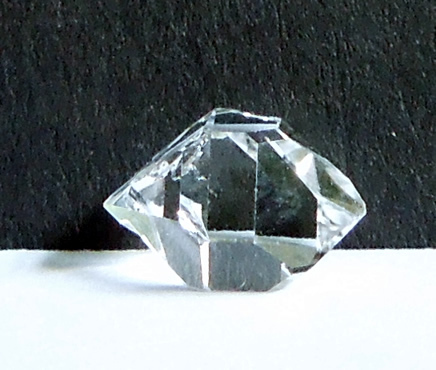 It's the impression where it grew against another crystal, but didn't attach. 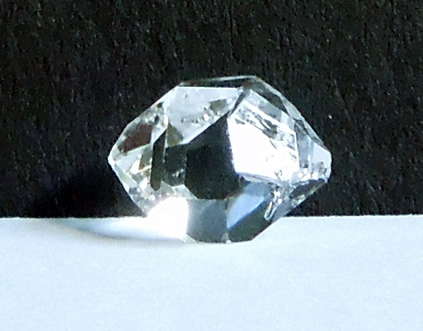 The keyed crystal grew at a later date, around the original crystal, the 'key mark' shows the growth pattern. 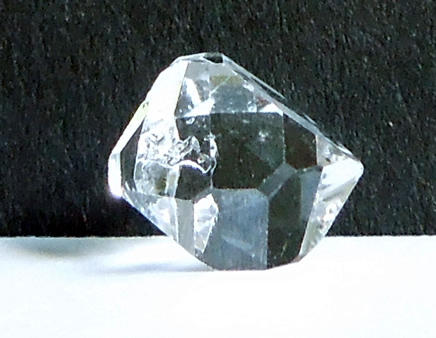 The bottom two photographs reflect the key and give the crystal a distorted look. This is not the case when holding it. This is one of the shy Herkimers. Even after several attempts to photograph, the pictures don't do it justice. 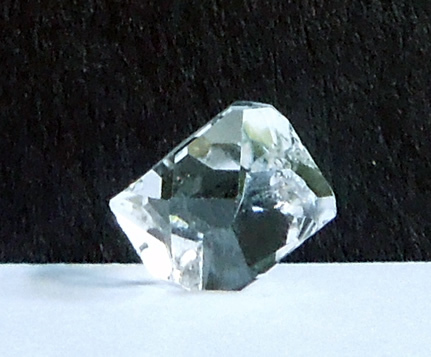 This natural (raw) Herkimer quartz crystal has excellent clarity, shine and personality.